. Sumatra coffee has been a staple offering at Starbucks since 1971.
, the Coffee Sanctuary provides a carefully curated series of interactive experiences.
. This is brought to life by a wood carving depicting the country’s six coffee growing regions’ local culture and architecture. A two-story mural in the courtyard pays tribute to local farmers who carefully nurture and protect the beans each step of their journey to Starbucks. , which offers open-source agronomy assistance and support for regional coffee farmers to improve the productivity and sustainability of their coffee trees.
. In 2018, The Foundation provided grants to Lutheran World Relief to support women-led community health and hygiene programs for 2,100 households in Sumatran coffee-producing villages over the next three years and to CARE to support economic empowerment for women tea workers and community WASH programs in West Java over the next two years. 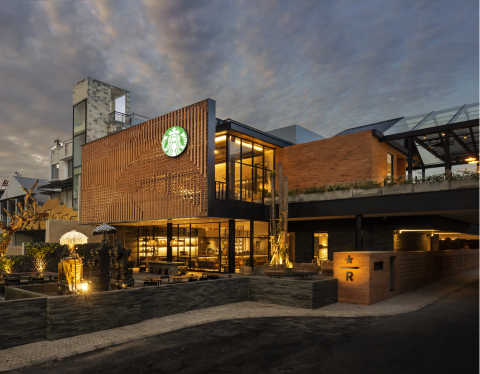 and its tenth in Indonesia as Starbucks continues to elevate the coffee journey for customers across the market.